Oh, it's definitely "The Whip." 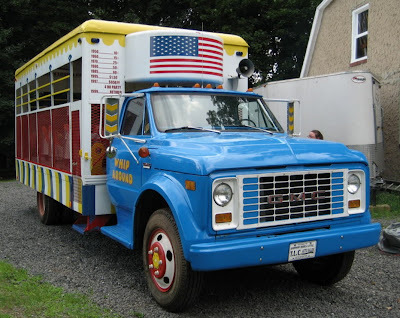 This is not only a vehicle, but in the back you'll find a complete amusement park ride. It appears to just ride you around in circles, and maybe the little cars spin, we can't tell. What we can tell you is that we've been to a lot of carnivals and we never wished we would have seen something like this. And we doubt Disney is beating this guy's door down to build them some of these. Find it on eBay here.